I do enjoy reading studies of the work of local suffrage societies – and this is a good one. 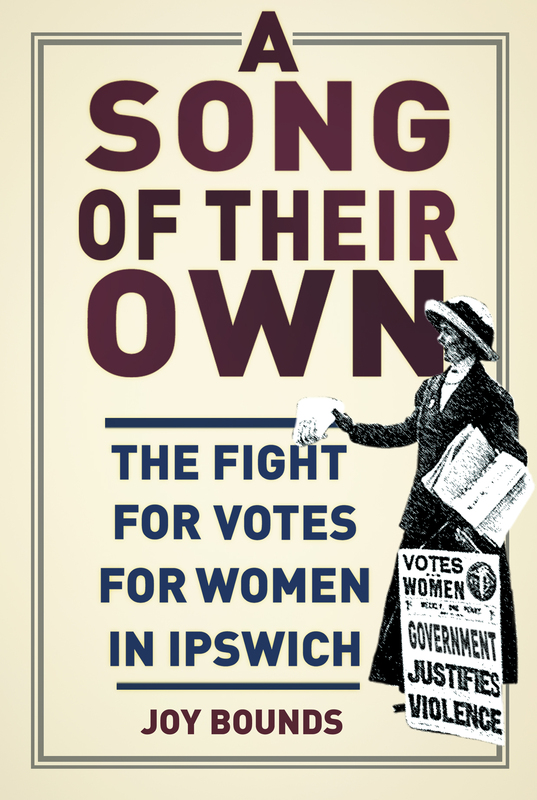 Without over explaining the national campaign Joy Bounds neatly describes the particular work of Ipswich suffrage campaigners, setting their efforts in the wider context. Her research on Constance Andrews, the leading light of the Ipswich branch of the Women’s Freedom League, is particularly welcome – and useful. The delight of such studies is that names hitherto little known are brought to our attention. While it was outside the scope of Joy Bounds’ study to dwell in depth on the many individuals whom she highlights, it is now possible – in a blog such as this – to pick up the baton, as it were, and attempt to discover more about these women. Their engagement with the suffrage movement is, in a way, only an excuse. I am still so curious about women’s lives. In particular I am interested in women who put their artistic skills to work for the suffrage cause and was keen therefore to discover more about the life of Ada Paul Ridley,who is mentioned in A Song of Their Own. She either designed or sewed (or perhaps designed and helped sew) the banner (‘Be Just and Fear Not’) that the Ipswich contingent carried in the WSPU’s 1911 Coronation Procession. There is a suggestion that ‘her women’ worked it – I wonder who they were? The banner, alas, has long since disappeared. Lisa Tickner includes Ada Ridley in her list of suffrage artists in an appendix to The Spectacle of Women, but mentions only her work on this banner and the fact that she had exhibited at the ‘London Salon’ in 1908. This was the first exhibition organized for the progressive Allied Artists’ Association Exhibition by Frank Rutter (a devout suffragist) – and held at the Albert Hall. I doubt that Ada Ridley was amongst the more progressive element, but she was keeping interesting company. So who was Ada Ridley? Well, she was born c 1864 and her sister, Elizabeth (Bessie), whom Joy Bounds mentions as also being involved with Ipswich suffrage, was born in 1867. They were two of the four daughters (there were also two sons) of Albert Cowell Ridley, one of Ipswich’s leading businessmen. He was a wholesale druggist – in partnership with Edward Grimwade (sometime mayor of Ipswich), trading as Grimwade, Ridley & Co. The firm’s premises were in Princes Street – and have long since made way for the iconic Willis building. The Ridley family was non-conformist – Baptist. In the 1870s Albert Ridley was a member of the Ipswich Board of Guardians and in the 1880s, a Liberal, was elected to the Ipswich Town Council. 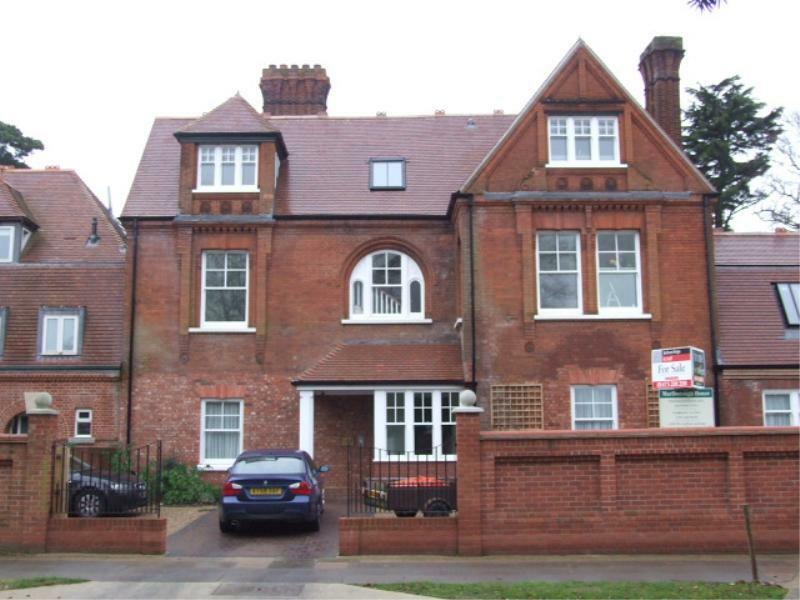 In the 1870s Edward Grimwade and his family lived close by – at 1 Henley Road. In April 1871 Grimwade chaired a meeting in Ipswich at which Rhoda Garrett was the main speaker, with her cousin, Millicent Garrett Fawcett, and her uncle, Newson Garrett, sitting beside her on the platform. The Ipswich Journal – not a supporter of the woman’s cause – gives a lengthy, somewhat jaundiced account of the meeting – but it is clear that it was actually rather successful. Grimwade’s daughter, Harriet, became secretary of the Ipswich committee of the National Society for Women’s Suffrage that was set up in the wake of this meeting. This suffrage society doesn’t appear to have been very active – although Harriet Grimwade definitely was. She was a very active philanthropist as well as eventually, in 1883, being elected a member of the Ipswich School Board. When she first stood for the School Board, in 1880, the Ipswich Journal paid her the rather back-handed compliment of saying that it would be as well if she were not elected as it would be a pity to distract her from her all her charitable work. There was no mention of Albert Ridley’s presence at the 1871 meeting- although he may well have been there. In fact there was a direct Garrett/Ridley relationship. Millicent’s sister, Alice, was married to Herbert Cowell, a cousin of Albert Cowell Ridley (Herbert’s father was brother to Albert’s mother). Despite Herbert’s expressed distaste for the women’s movement, Alice more or less defied him to succeed her sister, Elizabeth Garrett Anderson, as the member of the London School Board for Marylebone. I imagine that Albert Ridley’s views on the Woman Question tended more towards those of Edward Grimwade than those of Herbert Cowell. Whatever they were, Albert Ridley did ensure that Ada had a good education. She attended Ipswich High School for Girls and, while a pupil there, in 1879 passed the government examination in Freehand Drawing, taken at the Ipswich School of Science and Art , in 1880 she received the school prize for Needlework – a copy of In Memoriam – and in 1881 won a prize at the Art School (though still a pupil at the High School) for the best drawing of a plant. Her reward was to be given said plant – a begonia. In 1883 she matriculated from the High School – in the first division (University of London) and in 1884 moved to the Ipswich School of Science and Art, where she was awarded a first class certificate in Botany- Elementary Stage. Ada clearly remained close to Harriet Youngman, who was headmistress of the High School during the time she was there. When the 1901 census was taken Ada was staying with her as a visitor in the cottage near Saffron Walden to which she had moved on retiring as headmistress. Although the only sightings I have of Ada during the next ten years are as a rather successful tennis player (mixed doubles matches at the Ipswich Lawn Tennis Club) and as a pianist at various local entertainments, she clearly maintained her interest in art, winning a second prize in a Studio competition in 1894. In 1893 she was the judge of ‘Plain Needlework’ at an Industrial and Art Exhibition held at the Gainsborough House headquarters of the YWCA. Albert Ridley died in 1896, leaving c £25,000 – out of which Ada and her siblings were each to receive £1000 immediately. Her mother died in 1916, leaving £14,000 – so I think we can assume that the family lived reasonably comfortably. In April 1911 a service at Llanaber Church near Barmouth was held to dedicate reredos that Ada Ridley had helped carve. They had been designed in the Celtic Arts and Crafts style by John Dickson Batten, who was an illustrator and one of the early members of the Society of Painters in Tempera. The founder of this society was Christiana Herringham, a suffragist who in 1908 had helped embroider banners for the Artists’ Suffrage League and the Women Writers’ Suffrage League, as well as one for the Cambridge Suffrage Society. The Battens must have known Christiana Herringham and as in 1904 their Kensington home was at 16 Edwardes Square, they must have known Laurence Housman, who lived with his sister, Clemence, writer and artist, at 1 Pembroke Cottages, on the corner of the Square. It’s not too wild a guess to suppose that Ada Ridley was brought into this circle. There is no doubt that by 1911 Ada most certainly was well acquainted with Laurence Housman because in that year she was a contributor to a lovely book – An Anti Suffrage Alphabet – designed by Housman and which Leonora Tyson (of the Streatham WSPU) printed to order by hand. Earlier in the year, on census night (2 April), both Ada and Bessie Ridley had been absent from home. Their mother was enumerated at Helenscote with their unmarried brother and one of their nieces – but of her two resident daughters there was no trace. Were they spending the night at the Museum Rooms, taking part in the boycotting party that Joy Bounds describes so well? But that is all I’ve been able to uncover. How did Ada spend the rest of her long life? I can find no trace of any further involvement with either art or the woman’s cause. She seems such a capable woman that I can’t believe she sat at home doing nothing for the next 40 or so years. She died in Ipswich in 1958 – leaving c £17,000 -one of her executors being the niece who was staying in the house while her aunts were out gallivanting on census night. This entry was posted on August 21, 2014, 4:43 pm and is filed under Suffrage Stories. You can follow any responses to this entry through RSS 2.0. You can leave a response, or trackback from your own site.